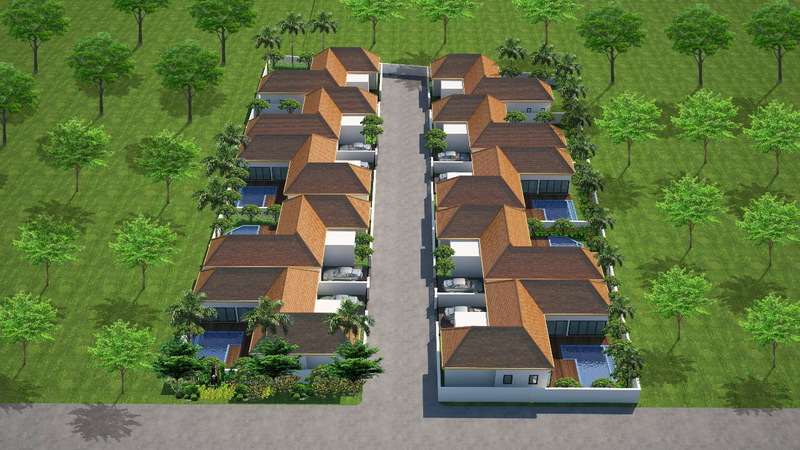 These tropical homes are located in a quiet and beautiful area in Rawai, surrounded by mature rubber trees. 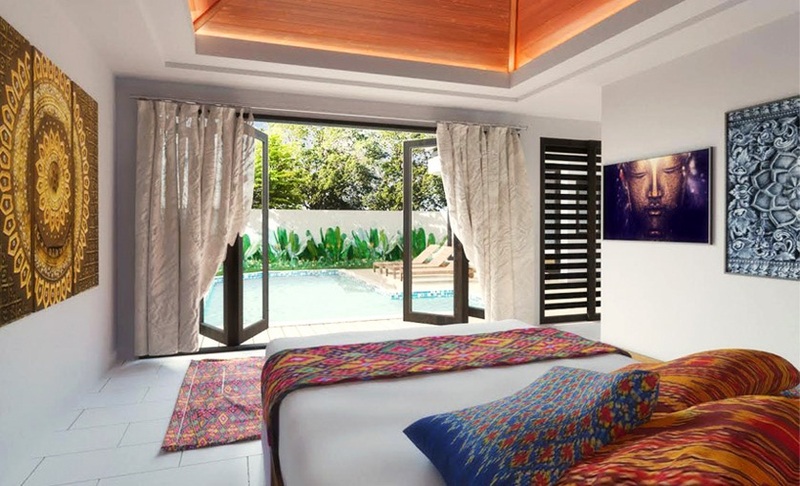 Just under 10 minutes from Nai Harn beach, this development is in a favorite expat area where everything is so conveniently near, restaurants, grocery stores, everything that you possibly think of. The villas are ideally located for those who enjoy cycling, walking, fine dining and proximity to island s most beautiful beach. 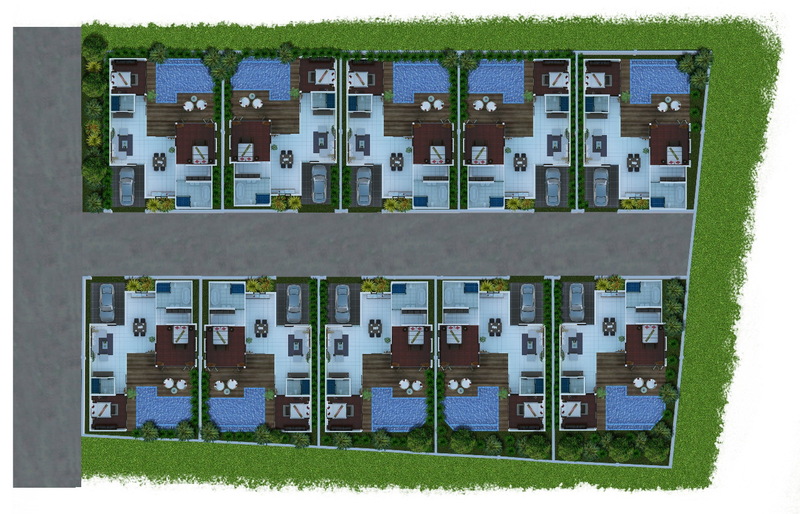 The two bedroom villas are constructed with an indoor area of 111 square meters and outdoor are of 84 square meters. 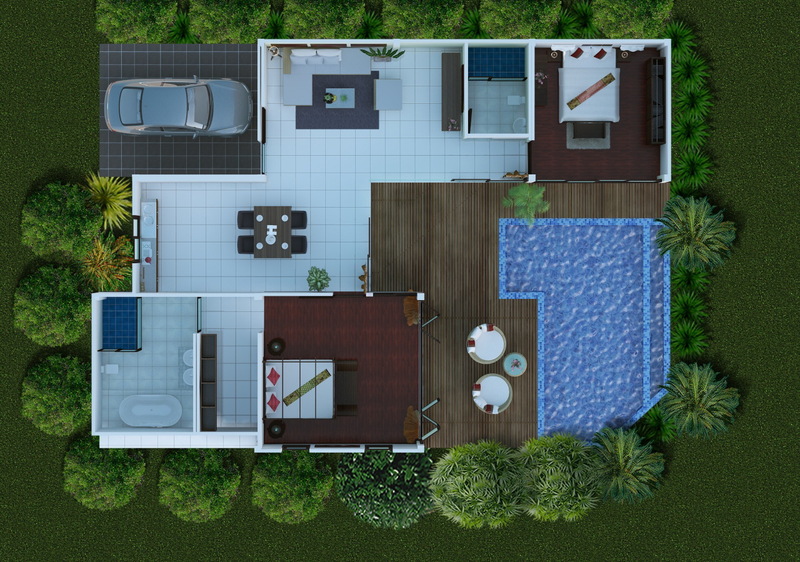 Each home is architecturally designed to embrace nature, calm and tranquility. The abundance of windows ensures magnificent views and the experience of being in a lush green environment. 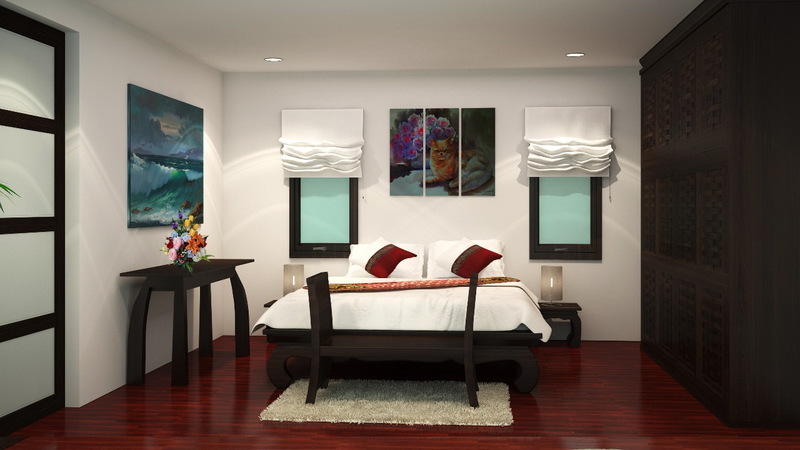 Master Bedroom floor is finished with Tabak wood while the hall ways, living and dining and guest bedroom are finished with high quality ceramic tiles. 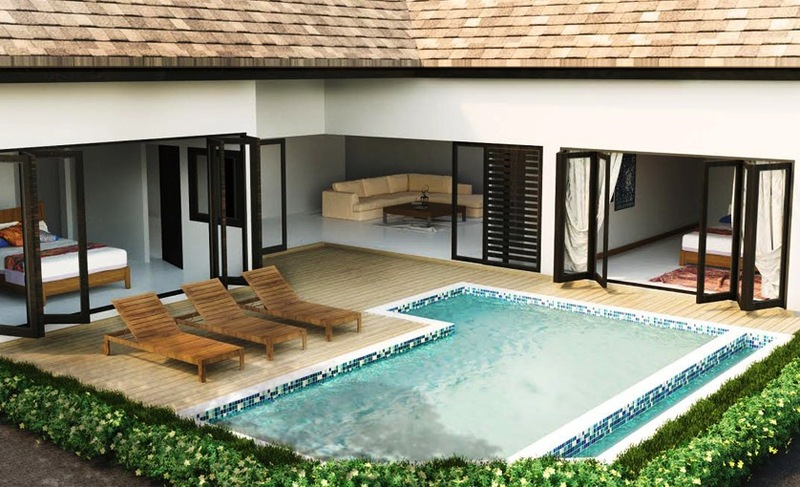 The outside of the villa includes the swimming pool, terrace, car park and spacious garden. The swimming pool with infinity edges connects the villa s pavilions. Light is reflected on the spacious deck and is compliments by the soothing sound from flowing water. Owners can enjoy their garden that showcase exotic plants and foliage that can be enjoyed year round. Composite material maintenance free wood look decking on terrace and sand wash finished car park complete the design perfectly complementing the contrast between wood, Owners may choose the color of pool tiling. 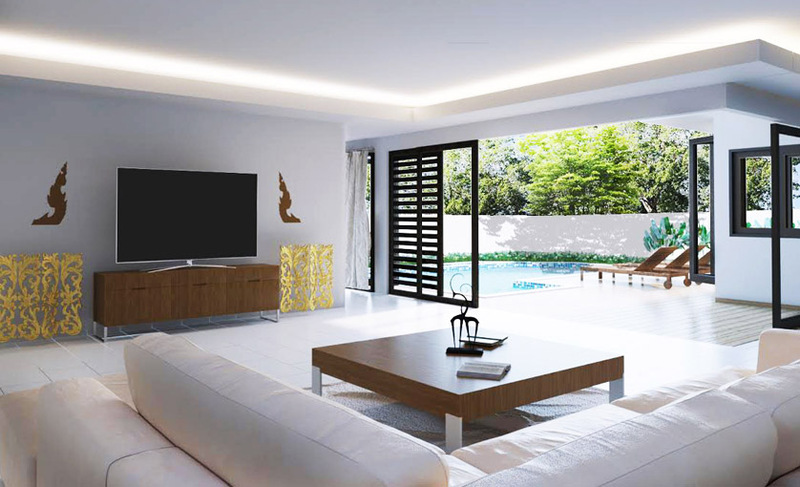 Price: 8,700,000 THB 9,400,000 THB (built in furniture!) Furniture packages are available upon request.